Parma, 1st November 2010. The 40th anniversary of the “Trofeo delle Industrie” needed to be celebrated in the best possible way. That is the reason why for the crucial event of the 6th and 7th November on the 7 Laghi Circuit in Castelletto di Branduzzo – the event which marks the first 40 years of the Trophy – is going to be published a sort of “complete works” which goes back to all the previous editions of the “Trofeo delle Industrie”, beginning from 1971. 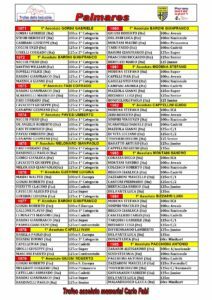 They are 39 volumes (both online and on CD with the 40th volume which to be released next week) containing all the original rankings of all the races of the Trophy, lots of original photos – almost all of them linked to the old and famous track of Parma, where the Trophy was born and where it grew up until 2008, before last year’s exile to Pomposa and to Castelleto next Sunday. 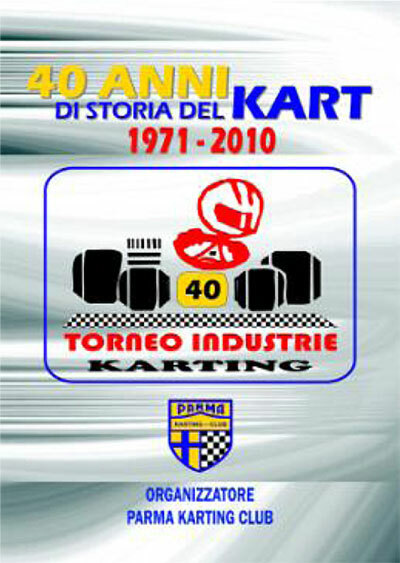 The work, named “40 Years of History of Kart – 1971-2010”, is made by 1,514 pages and was edited by Fernando Morandi together with Donatella and Tiziano Pellegrini of Parma Karting, the renowned organizer of the “Trofeo delle Industrie”. 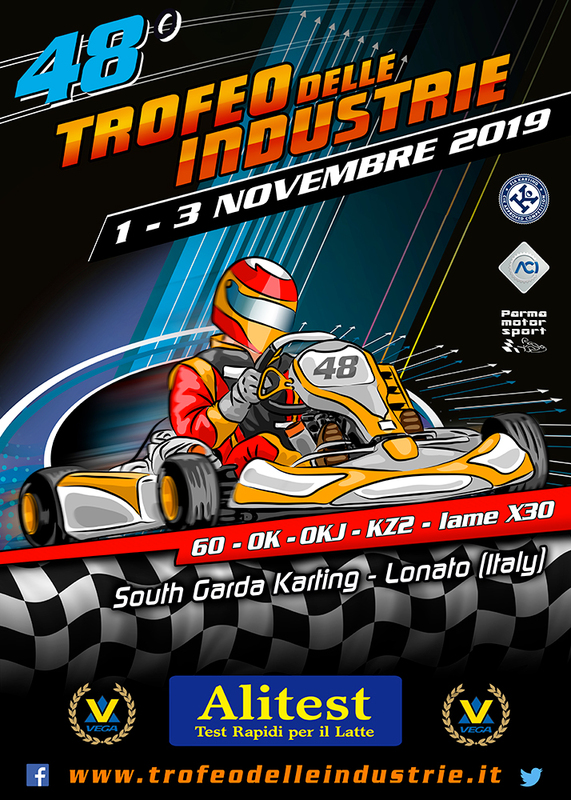 The publication is already online on the website www.parmakarting.it/industriestory/; the CDs will be handed over free to drivers and experts taking part in the 40th edition of the “Trofeo delle Industrie” in Castelletto di Branduzzo (Pavia). The first edition of the “Trofeo delle Industrie” was disputed on 10th October 1971. It was the realization of Umberto Pellrgini’s idea, one of the pioneers of karting in Italy and owner of the circuit of Parma (today closed), which was renamed “Mondialpista” (World Track) by him! 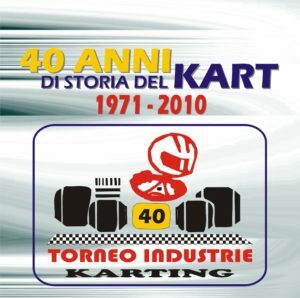 The “Torneo delle Industrie” was born also thanks to the support of the major kart constructors (that is the reason why of the name “Industrie” – Industries), who saw a good opportunity in a national event to be disputed during the autumn season, given that then there were no such events in Italy from September to March. The event was such an immediate success that the races of the tournament raised to seven meetings for edition. In the past the Trophy represented the closing event of the season, and the constructors that achieved good performances were sure to sell well during the winter months! The drivers who have taken part in the event are all first rate drivers: great champions such as Patrese, Fabi, De Cesaris, De Angelis, Cheever, Gabbiani, Stohr, Barilla, Sospiri, Morbidelli, Colciago, Zanardi, Capelli, Modena, Tarquini, Fisichella, Alonso, Kubica, Hamilton and many more, who have made prestigious the list of winners of one of the most beautiful races in the history of karting.